Great beaches and days out in Hampshire. 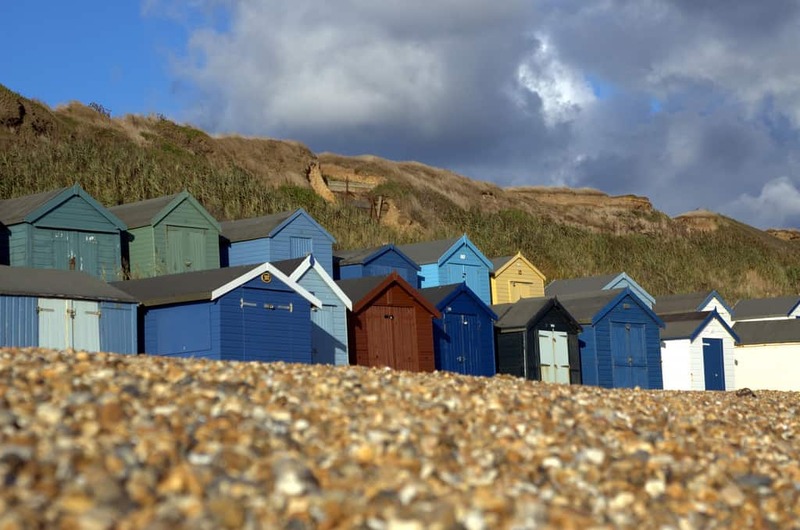 The weather is drawing in now and the days are shorter but nothing is as uplifting as a day on the beach and those around Hampshire are well worth a visit. A lot of the beaches in Hampshire are dog friendly too especially now the main Summer holiday is past and while the majority are shingle, they are great for slightly cooler days beachcombing and relaxing. If you’re further afield then why not make a weekend of it as there is plenty of accommodation to choose from. Barton on Sea beach is stony with sandy areas backed by the cliffs. There are large stretches of grass on the cliffs which allow you take in the views right across to the Isle of Wight and the Needles. 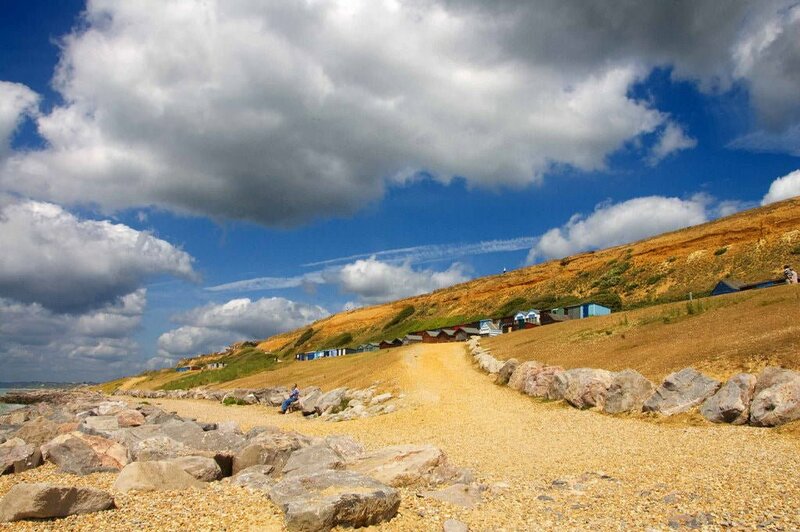 It’s a great beachcombing area as it’s well known for fossils and has a stunning cliff-top golf course too! There is a cafe and newsagents there. In fact, the Beachcomber cafe is quite famous in the region! Good parking and other facilities make this beach a firm favourite with the locals. This shingle beach is bordered by Salterns Park and offers great promenade walks as well as the grassy area of the park to laze in. There is also the Haven Nature Reserve nearby and the beach is of special interest with good wildlife habitats and Brent geese. Great for birdwatchers and those just wanting an interesting day out in the fresh air. There are good facilities and the beach is recommended for swimming, sailing, windsurfing and fishing. Milford on Sea Beach is a dog friendly beach worth visiting. 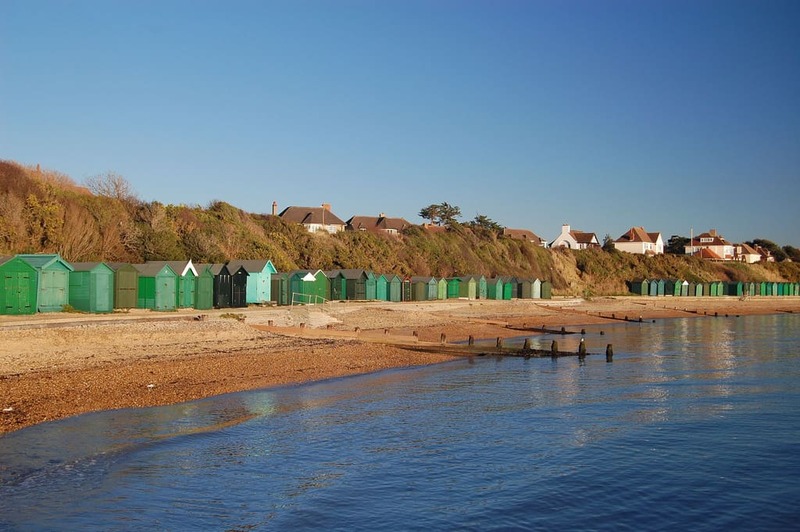 It is a long shingle beach with character beach huts lining the promenade and it’s backed by low cliffs. It adjoins a nature reserve making it the perfect nearest beach for walking your dog. There’s an excellent walk from this beach along Hurst Spit to the castle and you can enjoy a snack or lunch at the Needle Eye Cafe and offer the kids an ice-cream at the kiosk there. The other eatery is the art deco Marine Cafe on the east side of the beach which has great views of the Needles from the top floor. Shops are about 500 yards away and parking is really good. Avon beach is sandy and offers great views as well as beach huts to rent and a good quay where you can buy crab lines and bait or book a boat trip. The facilities here are endless with cafes, play areas, deck chairs, first aid, lifeguard, showers, baby change, shops, and lots of parking. It’s a busy beach for families but a good one for water sports and swimming. Hayling Island offers plenty of sandy beaches with lots of space for dogs as well as wonderful views making Hayling a very popular dog friendly nearest beach for everyone. With over 3 miles of beaches along the seafront, there is also wide stretches of open water where you can often see yachts and ferries crossing. The west beach is perfect for swimming and provides excellent sailing conditions and an overall great family day out.